As we await a decision by the Scottish Government on fracking in Scotland, the debate rages on. One side arguing that we need new sources of gas rather than becoming dependent on imports, while the other points to the environmental impact and the need for another dirty fuel when we have abundant sources of clean energy. This week a new factor has been added to the mix. John Underhill from Heriot Watt University says that both sides assume that fracking would actually work in Scotland and other UK sites. They pay little attention to whether the country’s geology is suitable for fracking. The implication is that because fracking works in the US, it must also work here. When in fact, Professor Underhill argues that the UK’s geological history suggests this is probably wrong. He explains why in an article in The Conversation. In short, the geology of the UK is very different to the US. This means that even where a shale source in the UK may have high organic content and thick and favourable mineralogy, the complex structure of the basins will be detrimental to ultimate recovery. The inherent geological complexity of the sedimentary basins has not been fully appreciated or articulated. As a result, the opportunity has been overhyped and reserve estimates remain unknown. We are some 55 million years late – geologically speaking! Other recent studies have attempted to model risks like earthquakes. A paper, published in Geomechanics and Geophysics for Geo-Energy and Geo-Resources (perhaps not everyone’s bedtime reading! ), tries to predict how far from a geological fault it is safe to frack a well without causing an earthquake. Given the length of time fracking has been going on in the USA, it’s surprising that there aren’t already guidelines that cover this kind of risk. However, it partly reflects our limited knowledge of the complex underground landscape and how fracking interacts with it. Because of the complexity and variability, a detailed understanding of the geology of what’s below the Earth’s surface is very incomplete. The fracking industry is also struggling with 21st Century challenges like finance and public opposition. British banks are reluctant to finance the mostly small drilling companies and a briefing produced by Barclays sets out the environmental and wider public opposition to fracking. The industry group OESG set out their concerns in a meeting with the then UK government minister. This reflects long standing doubts about the financial viability of fracking. Doubts which won’t be helped by further questions about the technical viability of fracking in the UK. 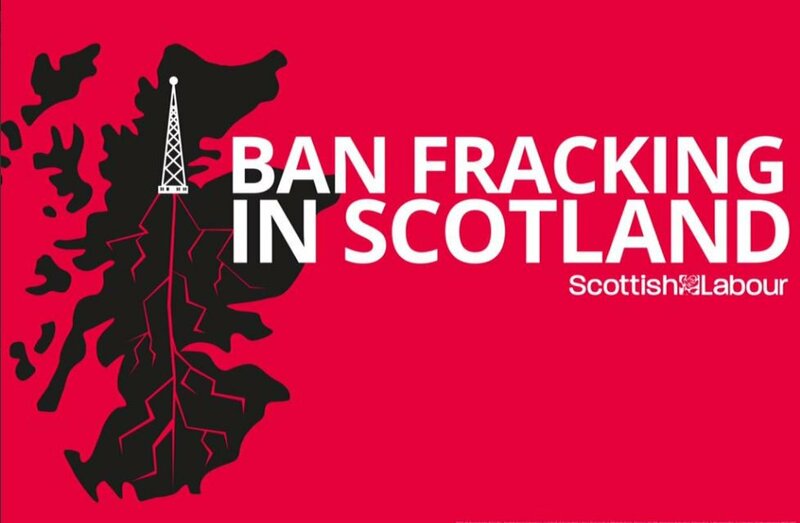 MSP’s have already voted in favour of stopping fracking in Scotland and Scottish Labour MSP, Claudia Beamish has launched a members bill on the issue. The bottom line remains that fracking advocates have failed to reassure the public on environment grounds, financial viability is doubtful and we simply don’t need another dirty fuel.